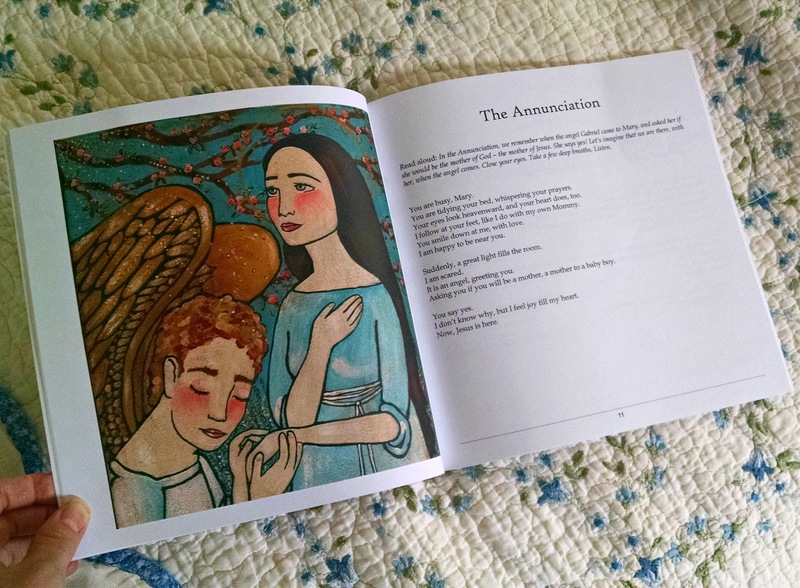 My Domestic Monastery: Day 7: Feast of Our Lady of the Rosary and BOOK GIVEAWAY!!! Day 7: Feast of Our Lady of the Rosary and BOOK GIVEAWAY!!! Happy Feast of Our Lady of the Rosary. And happy book release day!!!! You can buy a paperback here, a Kindle copy here, or a PDF here. I am sooo excited for you to get to see it, and to (hopefully) hold a copy in your hands soon! I want to tell you a little bit more about this book, and what makes it so incredibly unique. As someone with an educational background in theology/catechesis, it is really important to me that the religious picture books my girls read are quality. I want them to have beautiful pictures and solid theology. I want them to draw them deeper in their love for God. I had all of this in mind when I wrote the book, and when I asked Heather of Audrey Eclectic to illustrate it. 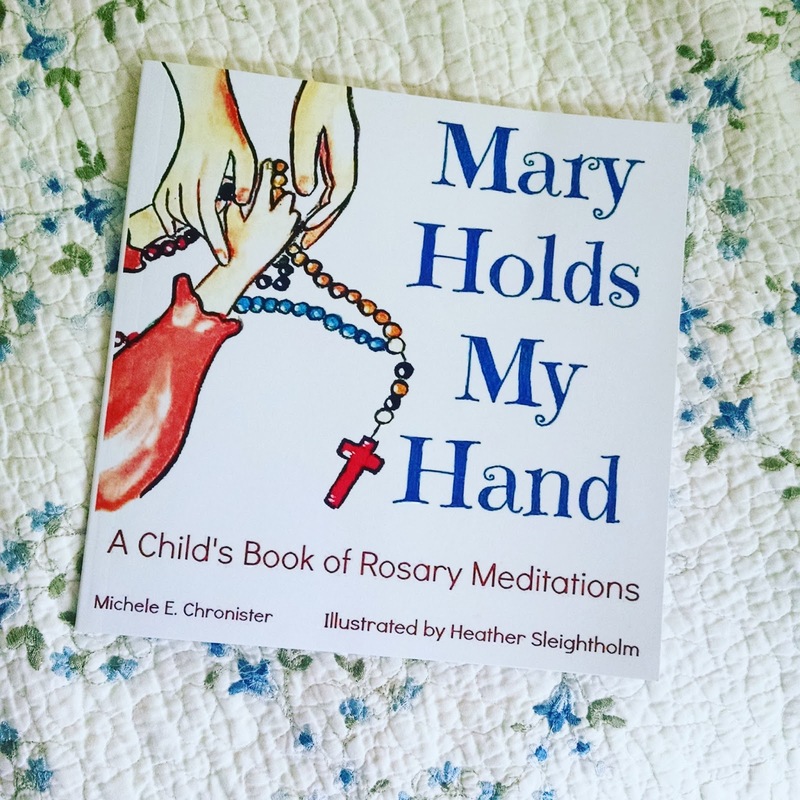 This book is all of that, but it's also so much more - it's an tool for parents and children to pray together. 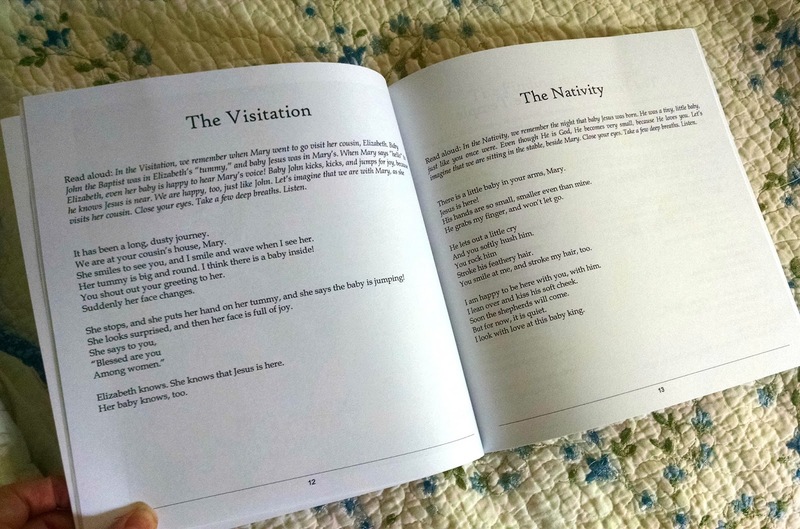 Each mystery includes a (scripted) introduction for the parent to read, and a reflection (written in verse) designed to help the child(ren) imagine themselves in the mystery. In my work with individuals with intellectual disabilities, one of the things that have been most important to me is having the faith be incredibly rich but accessible. I want little ones to understand the mysteries, but I don't want them to be watered down, you know? This book strikes that lovely balance. Want to win a copy?? Rafflecopter away! Giveaway ends on Sunday. The crowning of Mary as Queen of Heaven and Earth is my favorite mystery. So excited that the book is out. So excited this book is out!! My favorite mystery is the Annunciation. My favorite mystery is the Visitation. This book looks great! I think my favorite mystery really changes with the liturgical season and my life circumstances - right now maybe the visitation? So excited! My favorite is the Visitation and my three-year-old recently declared that to be her favorite as well. My favorite mystery changes between the Agony in the Garden and the Nativity. And the Annunciation is up there too. The Carrying of the Cross was my fave for the longest time...but now it might be a very close tie between that and the Annunciation. The Visitation. The Agony in the Garden. This book looks lovely, Michele.